You’re probably sat inside in the warm reading this whilst it’s cold and blustery outside, I know some of you may even have snow but let’s just fast forward and think about sunshine and pretty flowers for a moment… Yes it’s time for a new launch and Clarins have a couple of great launches coming up for SS16 so I thought it’s time I share them with you today. 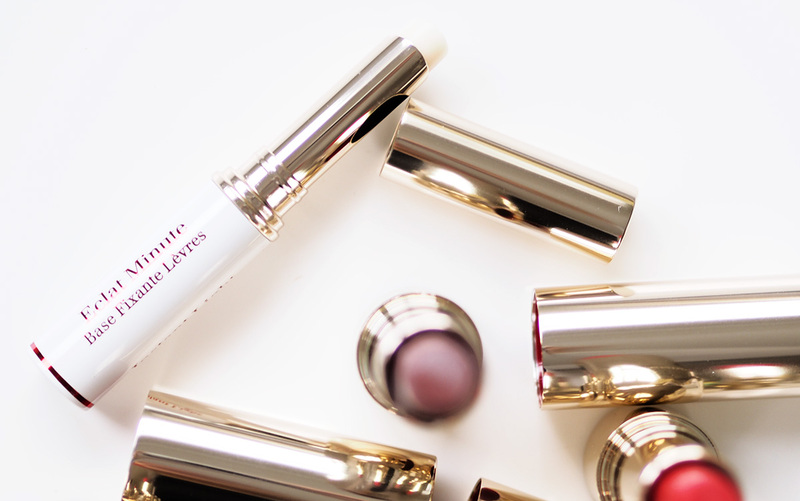 When I really thought that the Matt lip would be something I couldn’t steer away from I try the new Joli Rouge formula, the Joli Rouge Brilliant lipsticks have had a little revamp with a new moisture-enhanced formula. There are a range of new shades that offer a veil of sheer colour, with subtle pearl particles and basically these are a high shine glossy version of the Joli Rouge lipsticks and the perfect addition to any ones lipstick collection, just think high shine, intense hydration and pure bliss! Now we’ve all had those moments when we just longed for a lipstick that would last just a few hours longer, that one favourite lipstick that you just adore the colour of but constantly needs topping up. How would you feel if there was a magical formula out there that would help to make that lipstick last that little bit longer? Well Clarins have just brought out the Lip Perfecting Base and this is a clear base for lips that not only makes your lipstick last longer but it also prepares for perfect application leaving your lips moisturised and smooth, the perfecting base is also enriched with acacia microbeads to smooth out fine lines so be prepared for a super soft pout. 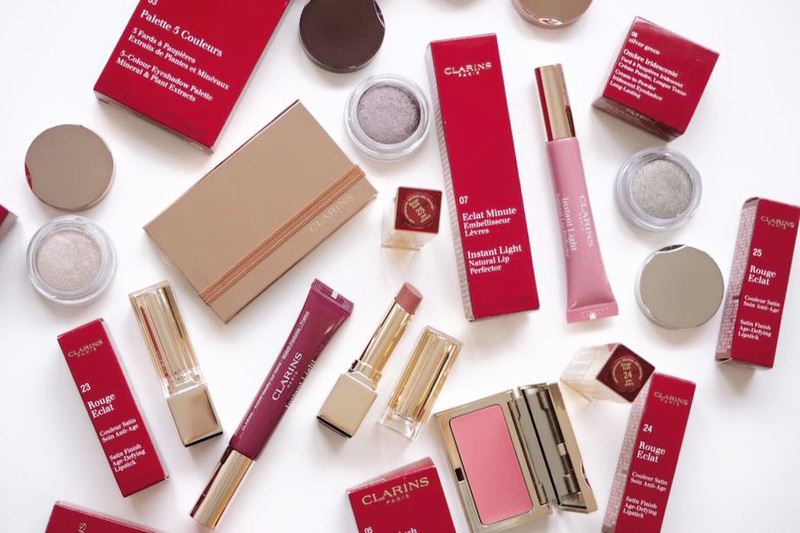 Let’s move onto the new Clarins SS16 Instant Radiance Collection, yes I know it’s a little early to be talking Spring but to be honest I can’t wait for light glowy makeup and minimal pretty looks. 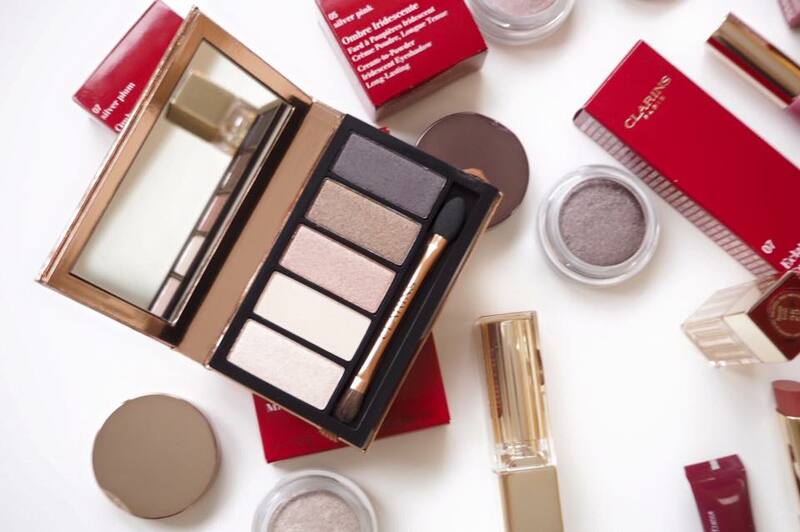 This collection includes a few of my favourite Clarins products so I was super excited to see the new colours and of course the gorgeous packaging. This collection features a bunch of new Ombre eyeshadows, the Ombre Iridescent shadows are absolutely stunning and the cream to powder formula is always such a joy to use. Each shade is stunning and perfect to wear alone as a quick wash of sheer luminous colour they enhance the eyes beautifully and last all day long. If you still love a hint of rose gold like I do then you need the new Natural Glow 5 Shadow Palette, this is limited edition and one you need to grab right now. The palette offers 5 stunning colours from champagnes through to rose golds and satin browns it really is the perfect day to night palette and the packaging is just so Instagrammable, I’m obsessed. Ready for more lip launches? Yes there is more! There are four new shades in the Rouge Eclat Age-Defying lipstick collection; 23 Hot Rose, 24 Pink Cherry, 25 Pink Blossom and 26 Rose Praline. 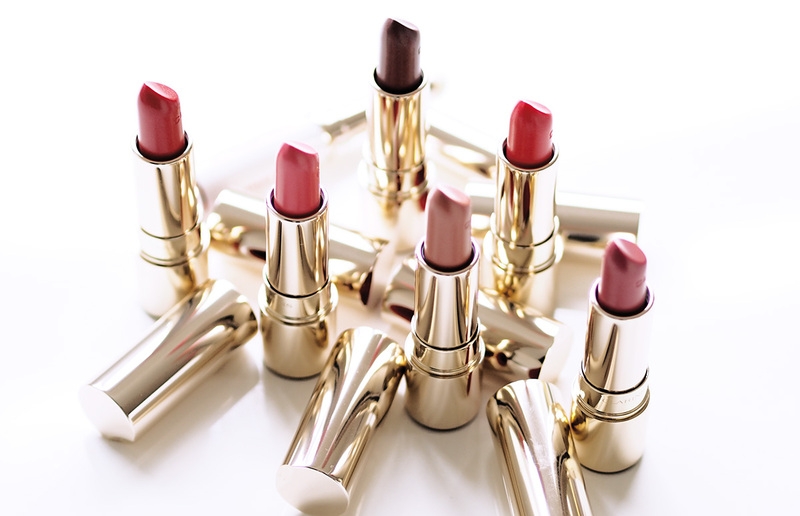 I have to say out of all the Clarins Lipstick formula’s the Rouge Eclat Age-Defying Lipsticks are my favourites, a great intense long lasting colour that is comfortable to wear on the lips and looks great all day. 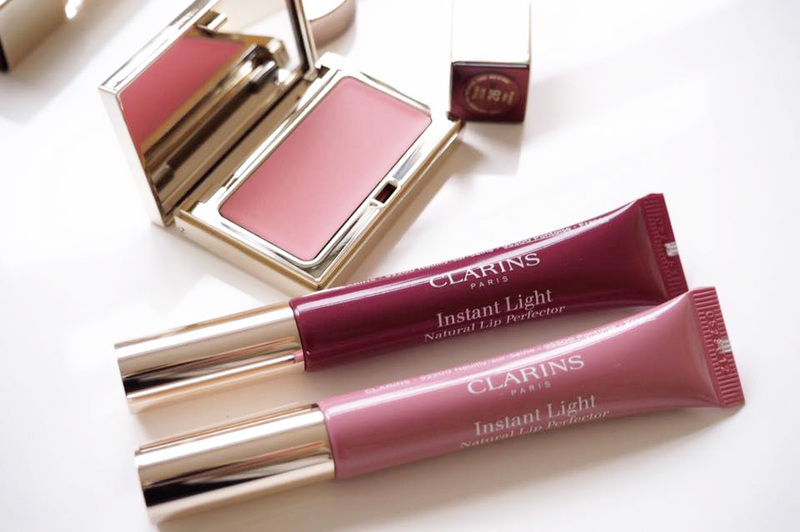 Finally the last lip launches for today are the Instant Light Natural Lip Perfectors, we all love these right? Well there are two new shades set to launch this Spring; 07 Toffee Pink Shimmer and 08 Plum Shimmer, I have been wearing these non stop since I got them they are so easy to wear and the plumb tones are just so pretty. A natural gloss finish that makes the lips appear fuller and the formula includes Shea butter and Mango to soften and protect, they last for hours and the sponge tip applicator makes application a dream for those on the go. No new base product launches? Of course there is, there is a new Multi-Blush available for you and let me tell you it is a little beauty. Coming from someone that rarely wears blush this is very nice and easy to wear, I usually steer away from blushes because I find them quite hard to work with but this lightweight cream is so lovely to apply and is buildable which is something I love. The colour is a stunning peach that accentuates freshness and the floral waxes from rose, mimosa, jojoba and sunflower protect the skin from dehydration.If you managed it to the end of this post then you get a high five from me, there are so many fab launches to get through aren’t there?! Which are you most excited about?